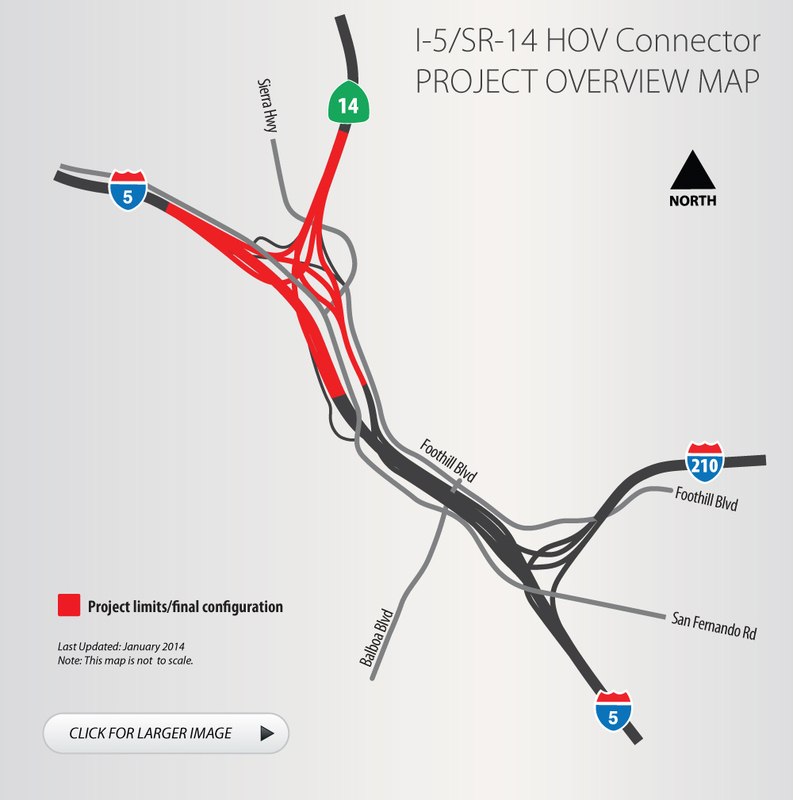 Caltrans is improving the Golden State Freeway (I-5) Interchange with the Antelope Valley Freeway (SR-14) by constructing a direct high occupancy vehicle (HOV or carpool) connector so vehicles with two or more passengers can connect from one freeway directly to another without leaving the HOV lane. The project will take place in Santa Clarita and cost $161 million. Construction is expected to be completed in mid 2013. Caltrans has implemented a multi-tiered community outreach campaign to keep the public informed about this construction effort. Notices of community meetings and updated construction advisories will be posted on this website periodically. Thank you for your patience. For more information, please call toll-free (855) 454-6335.